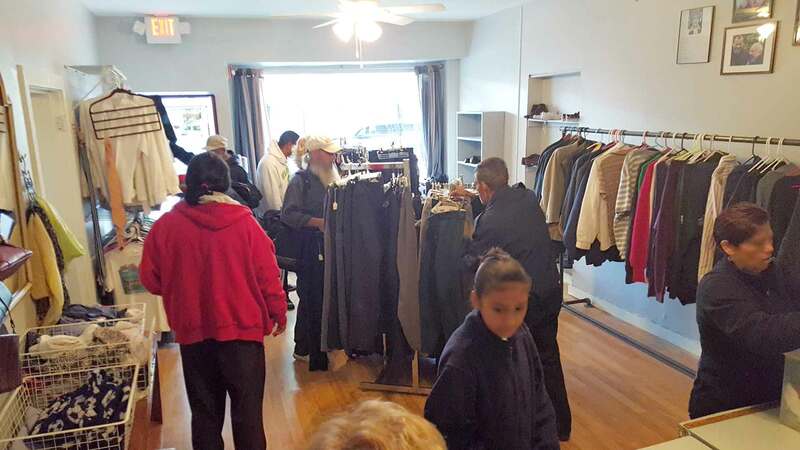 Marie’s Closet is run by the staff of St. Francis Inn in addition to a small cohort of dedicated, loyal and tireless volunteers. Men’s and Women’s clothing, along with shoes, children and infant clothing, can all be found inside! Each month, 300 to 400 changes of clothing are given to the guests of St. Francis Inn. Through our voucher program, guests are allowed a shirt, pants, underwear and socks. Additionally guests can request any other items such as a coat, shoes, housewares, belt, and anything else they may need. Marie’s Closet is open from 10:00am-1pm Tuesday through Thursday. Donations of clean men’s, women’s and children’s clothing and shoes, linens, and housewares can be brought directly to the store during business hours; otherwise, they can be dropped off at the Inn. 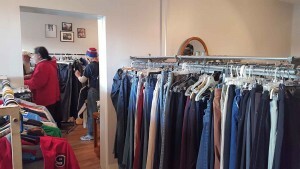 Marie’s Closet is run by Director Stephanie White, along with volunteers.